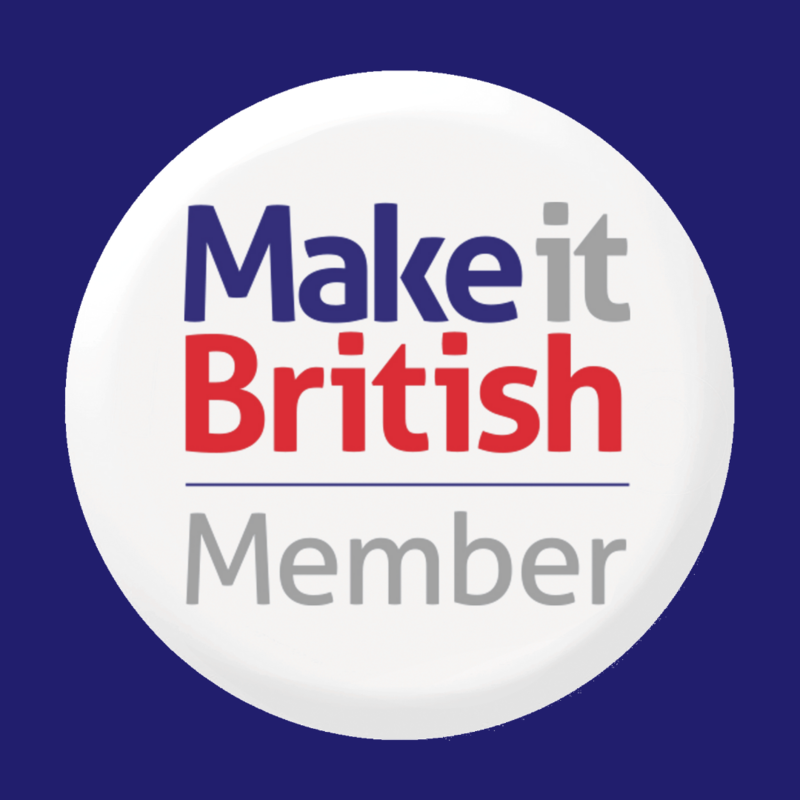 Make it British Members Impact Trading manufacture customised corporate clothing, specialising in Aprons. 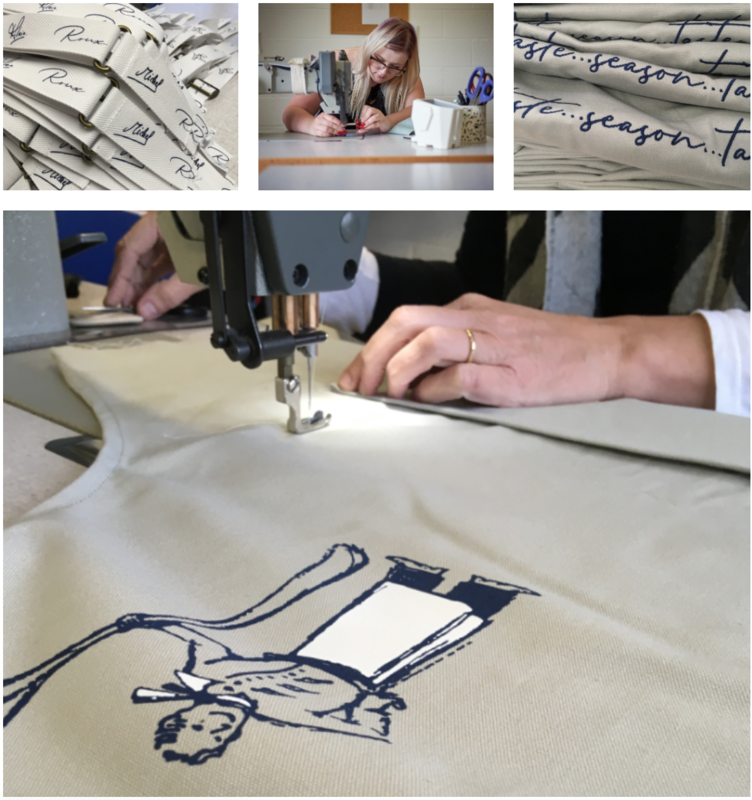 They were recently commissioned to create bespoke aprons for the famous Michelin Star Restaurant, The Waterside Inn. The Waterside Inn, in Bray is run by chef patron Alain Roux, the son of Michel Roux. They wanted a bespoke, made in Britain apron to sell in the restaurant gift shop. 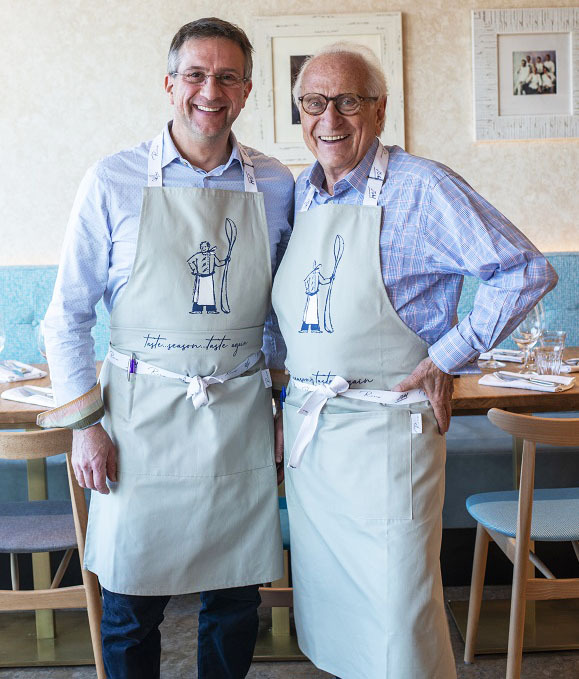 They approached Impact Trading with a strong idea of what they wanted – the Michel & Alain Roux Apron. 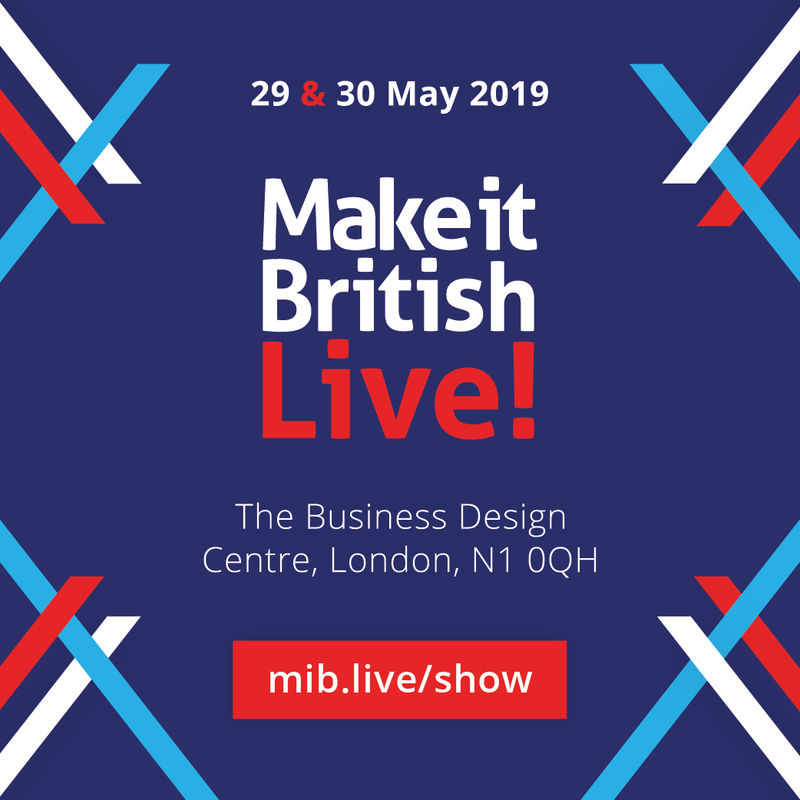 The design team at Impact Trading took their ideas and developed a top-end product with precise detailing, including woven labels, printed logo, webbing and a large embroidered motto. The navy Pantone colour was matched throughout to coordinate with the pastel blue of the apron. The Roux apron went into production at Impact Trading on beautiful Rose Lane Farm, on the edge of Milton Keynes on beautiful Rose Lane Farm. The bespoke aprons are now available to buy from the Waterside Inn online shop here. 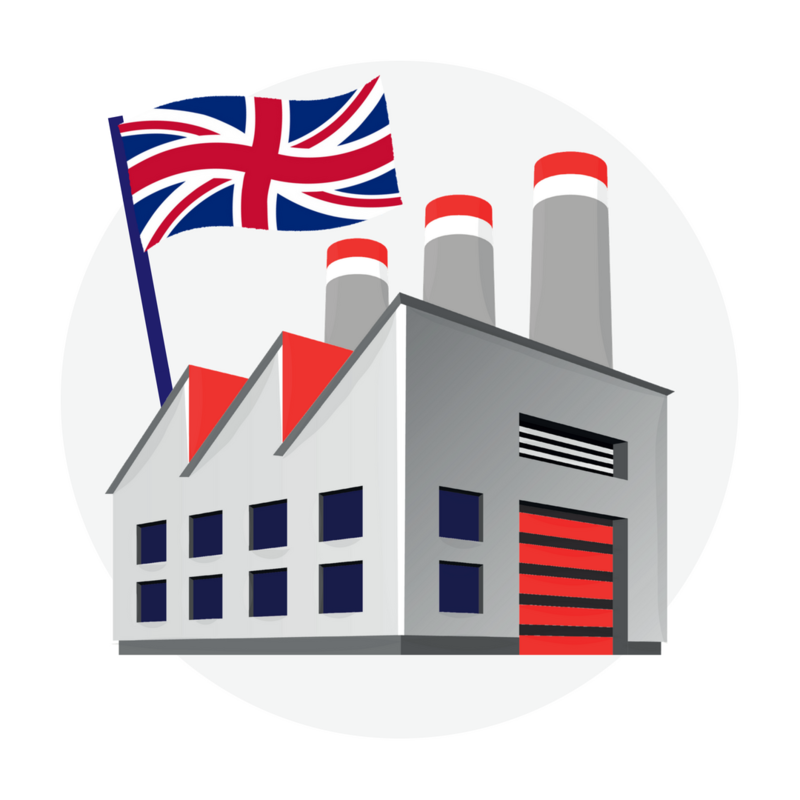 You can find out more about Impact Trading here.